The successful candidate will be responsible to commission, program, and assist with the design of robotic systems. He/she will be expected to commission robot arm/controllers and any peripheral equipment controlled by the robot. A key aspect of the role will be to write robot software and programs per customer specifications. He/she will work with Controls and Design Engineers to prove out, debug the system, address and follow up on any issues. The successful candidate with hold a level 6 qualification in engineering, welding trade or equivalent mechanical related discipline. Minimum 5 years’ experience with welding manufacturing process equipment required, including robot programming. Strong ability to be able to read and interpret blueprints and welding symbols. Must be able to use and read measuring equipment related to welding and weldment inspection. Knowledge of basic machining practices and materials as well as general mechanical knowledge. Experience and/or training with other robot manufacturers, an advantage. Robotic simulation or controls experience a plus. Must be proficient in Microsoft office such as Excel, Word and Powerpoint. Ability to work as part of a team in a busy environment. Work within a team to lead the setup of Robotic welding cells within the Company. Commissioning of KUKA Robot Systems from an “out of the box” state. Set up fixture and program weld paths along with other welding parameters for efficient production runs. Interact with various levels in the Company to design and fabricate fixtures. Program robots to specification and designed process, using platforms e.g. KUKA SIM, keeping in mind safety, quality, cycle time and adherence to standards. Develop robot programming techniques to utilise the equipment to its full potential. Test, debug and problem solve any issues that arise during the production run ensuring root cause analysis of machine and weld issues. Ensure all inspection and test results are recorded. 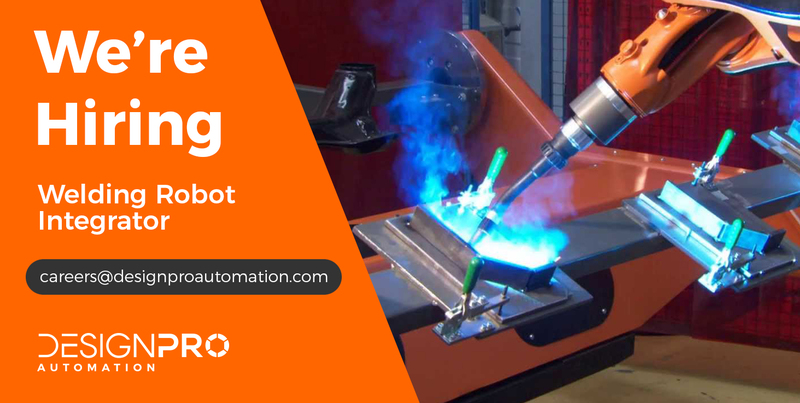 Communicate and liaise closely with the team, internal departments, customers on queries/follow up required during all stages of the Robotic welding process, to ensure customer deadlines are achieved in an effective and efficient manner. Start-up and debug equipment at customer facility. Travel to end user for final installation commissioning and as required throughout the Project. Production support at customer facility. Act as a mentor for other Welding Robot personnel that join the team. Maintain an awareness of welding developments within industry and potential new market areas. Ensure preventative maintenance is carried out on equipment. Maintain work area in a clean, neat and orderly condition. The closing date for receipt of applications is Tuesday 2nd April, 2019.